Roger Ailes is watching you. 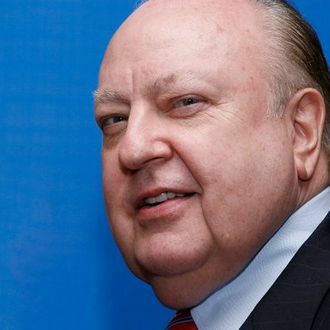 Roger Ailes is famously paranoid about his enemies — he once told Fox News executives that President Obama might shut Fox down and jail him like a political prisoner. But Ailes also controls every aspect of Fox News, no matter how small the detail. He has always cultivated the idea that he is everywhere. “Look, I know everything I need to know about you,” he once told a producer. “I talk to the people above you. I talk to the people below you. And I talk to the people on either side of you.” Executives never knew Ailes’s schedule. Sometimes he showed up for the morning editorial meeting, sometimes he didn’t. If he wasn’t there, chances were he was listening in on the speakerphone, although he would not announce himself — suddenly his voice would crackle over the line. Ailes also put eyes in every department. One executive called it “the invasion of the secretaries.” When Suzanne Scott, the former assistant to Ailes’s mentor Chet Collier, sent directions to producers, the staff knew whom she was speaking for. “She had rules of what you could wear,” a female producer recalled. “No jeans. If you went out to the field, no dyed hair. The camera people couldn’t wear shorts unless it was over 90 degrees. All of us understood it.” Brigette Boyle was a secretary promoted into Fox’s HR department. “She had no HR qualifications, except to screen people who would be fit for Fox,” a senior producer said. “Roger every so often had her do a task that was bizarre. Once, he asked for a list of every employee who went to Brown. He said it was because he never knew a conservative who came from Brown.” Another time, he asked her to check for any employees who had played field hockey. Gabriel Sherman’s biography of Roger Ailes, The Loudest Voice in the Room, is on sale today.